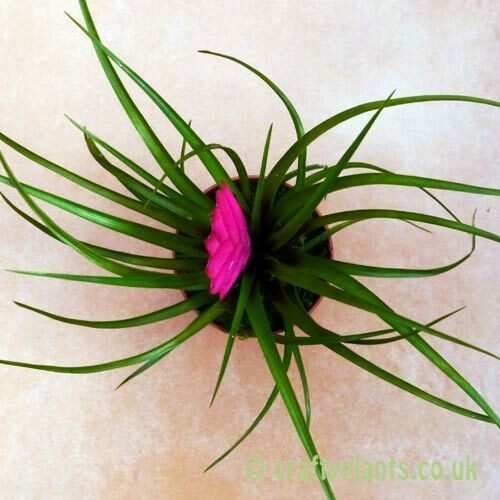 Certainly one of the best known members of the bromeliad family, Tillandsia Cyanea, or Pink Quill as it’s otherwise known, is the most commonly grown variety of Tillandsia in the UK. 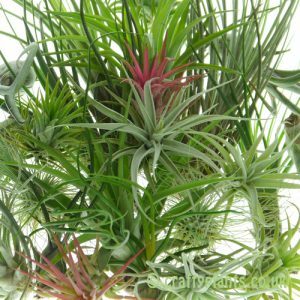 Although this airplant variety can be grown quite happily as an epiphyte, it is more common place to put Tillandsia Cyanea into a free draining compost and grow it as a pot plant. 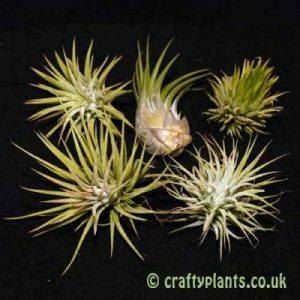 When grown as an epiphyte, it is important to ensure that Tillandsia Cyanea has somewhere moist to root, such as moist sphagnum moss attached to cork bark. 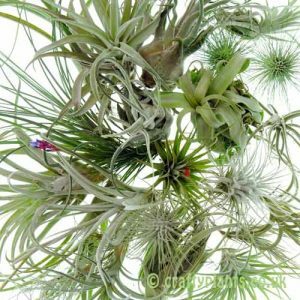 This helps to ensure that any roots stay moist. 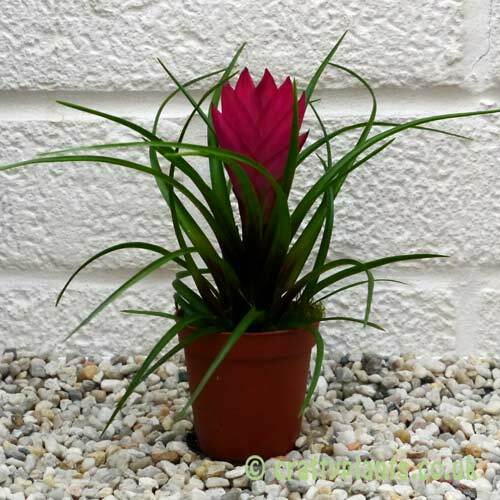 All our Tillandsia Cyanea are supplied in bud/flower and in 5.5cm pots. 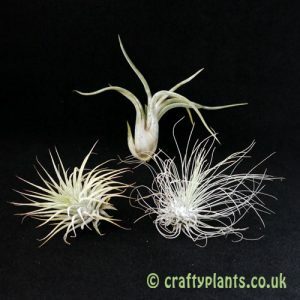 5 star premium quality plant which has instant 5 star visual impact. I suggest buying its big brother to decorate and grace any bright window. sent super quick and housed brilliantly for its journey among the others.